Last Friday, Del Rey announced that the Han Solo book in the upcoming “Rebels” series will be written by James S.A. Corey, the pen name used by Daniel Abraham and Ty Franck. Their 2011 novel Leviathan Wakes was a finalist for the Hugo Award for best novel and Locus Award for best science fiction novel in 2012, and Abraham is acclaimed and award-nominated for his fantasy work. When I heard the name, I thought it sounded familiar. Looking back through my browser history, I figured out where I’d read about them recently: in Charlie Jane Anders’ article at io9.com, How to Write a Killer Space Adventure Without Breaking the Speed of Light. Abraham says that one reason why science fiction doesn’t sell as well as fantasy in the book world, even as it’s conquering movies, is partly because of this drive to make it more and more serious and scientifically plausible. There’s a fast moving investigation and chase, there’s a slowly developing alien mystery, there are wars, there’s science, there’s romance, space battles, close up battles — everything you could want. … I kept thinking that this was the best seventies SF novel I’d read in simply ages. … And like the SF that inspired it, Leviathan Wakes is a fast-moving adventure story that makes you think about all sorts of issues in all kinds of spheres. 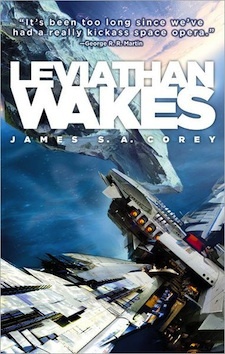 When you dive into Leviathan Wakes, the first in the Expanse series from James S. A. Corey, you’ll feel like you’re watching the opening scene in any of a dozen awesome science fiction films. … Though Leviathan Wakes has many elements of space opera, the novel is tightly focused on two characters who spend most of their time zooming between asteroids, trying to stop the war and figure out why the hell Holden’s ship was destroyed in the first place. 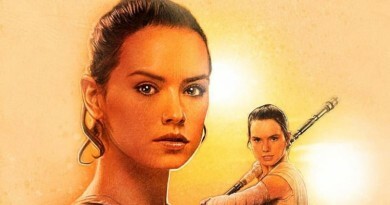 Some of the Amazon reviews favorably compare the novel and the characters to Han Solo, Blade Runner, and similar stories. I’m definitely interested to see what these authors can do with an Original Trilogy style Han story. In the meantime, you can follow Dan Abraham on Twitter and at his blog. 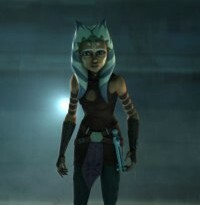 And if, like Lightsaber Rattling’s Pete Morrison, you’ve been wondering about the pseudonym, the blog has their explanation, too.